How is the new year treating you all ? Hope all is well with everyone. 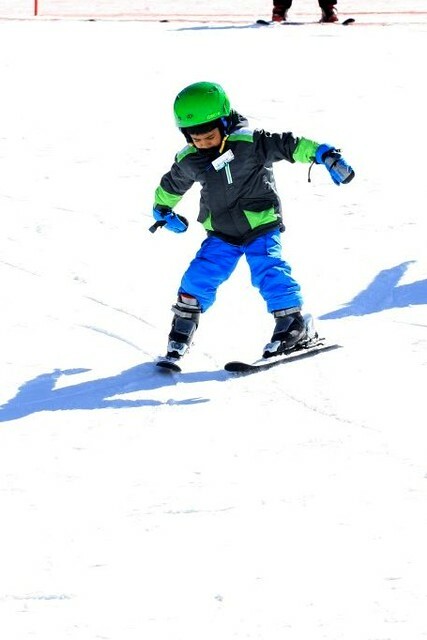 TH got a few ski tickets, way back, in the hope of teaching the lil guy skiing this season and so he did. Over the weekend we packed our back packs and the rest of the paraphernalia and went to our closest ski resort. The little guy had already demonstrated the weekend before to his Dad how he could make "pizza" and "french fries" using his skis and also to take turns. His father was telling me how exciting it was for him, to watch the lil guy take his baby steps in a new technique and this weekend I got to enjoy it too. Isn’t it always exciting to watch kids when they learn and master a new art/technique? First it was our daughter, and mind you she still continues to amaze us with her feats. Now, the little one too! It’s a good life. When our daughter learns to play a new song on her flute or when she learns a new technique on her guitar we all get excited. Even the lil guy says, "hey chechi, that is really cool". It has been a tough few weeks juggling work and home and blogging has suffered severely. I am glad you are still reading this and came in to say hello. 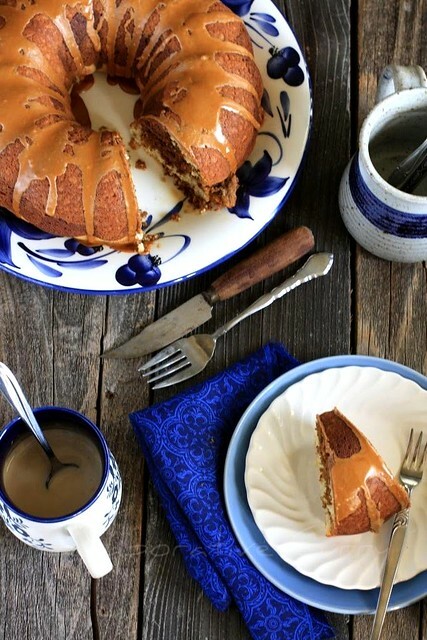 I have a wonderful coffee cake recipe which will make you glad you stopped by. 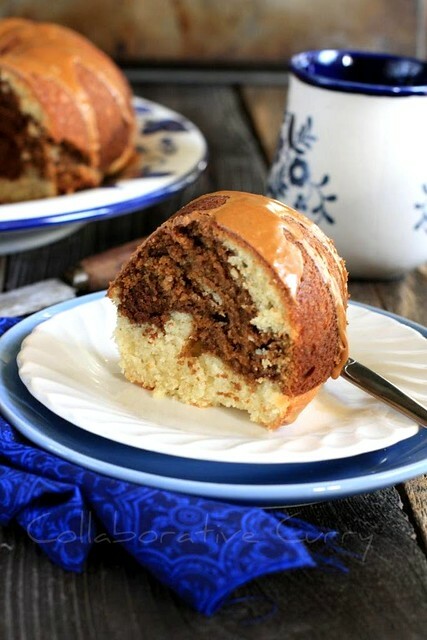 This is one of the best coffee cakes I ever made! Hurray! You could add cocoa or completely leave out that part and either way you bake some delightful cake. Have it with a frothy dose of hot caffeine and you are set. Your days will zoom by, the double dose of coffee will do it’s job. Have a great day where ever you are and don’t forget to give this recipe a whirl. 2.Sift together the flour,salt, baking soda and baking powder. 3.In a mixing bowl beat the butter and sugar until light and fluffy. 4.Add eggs one at a time and beat to mix in. 5.Add vanilla and mix well. 6.Add the flour mixture alternating with sour cream, beginning and ending with flour mixture.Beat to incorporate everything,do not overmix. 7.In a small bowl mix instant coffee in 1 Tbsp of hot water. In another bowl, mix cocoa in 1 Tbsp hot water, if you are using it. 9.Pour 1/3 of remaining sour cream mixture in the pan. Level using a spoon. 10.Spoon out the cocoa and coffee batter alternatively on top of that.using a butter knife swirl the batter a bit, or leave batter as it is. 11.Top with the remaining sour cream batter and level the top using a spoon. 12.Bake until a tester inserted comes out clean or for about 45-50 minutes. 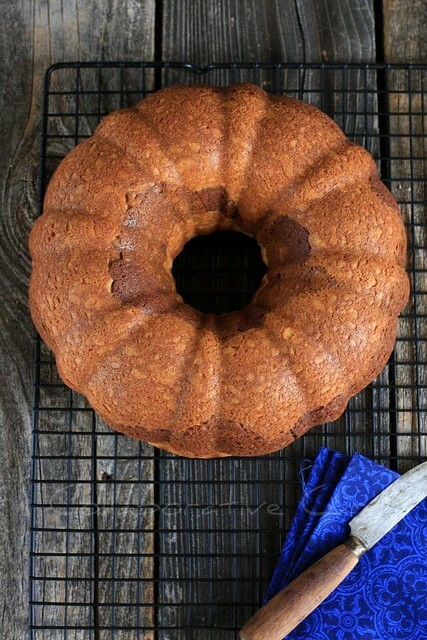 13.Cool the cake in pan for a few minutes and then turn on a wire rack to cool completely. lovely cake, so wanna make it. Gotta a new bundt pan, so on the watch out for bundt cake recipes. looks amazing n gorgeous clicks.. Awesome Namitha! Your pictures are always so beautiful! 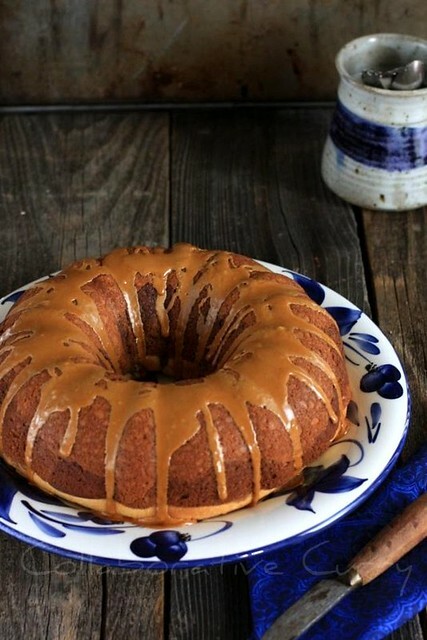 Love coffee cakes of all kinds tho especially bundts :) So cool your little one can ski! this is so perfect, we love coffe cakes. Lovely pics as always dear..yummy cake. Awesome! The photographs are crazy good. Lovely recipe namitha , always enjoy coffee flavour, wanna try this..... And as always beautiful clicks. If you get chance, visit my blog.. Your son is so cute learning to ski:) This cake looks wonderful. The espresso glaze really must add such a great flavor. Delicious and yummy looking cake! When we create coffee most of us would want to keep it heated for later consuming. This goes more true for http://thebestcoffeemakerreview.com/ those who usually consume more than once yet are active the relax of the day to produce another. To create sure you get hot coffee examine the producer's heater.